Earth-sized planets can support life at least ten times further away from stars than previously thought, according to academics at the University of Aberdeen. 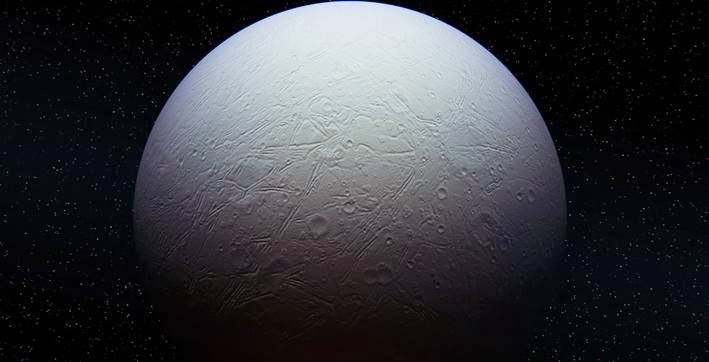 A new paper published in Planetary and Space Scienceclaims cold rocky planets previously considered uninhabitable may actually be able to support life beneath the surface. “The deepest known life on Earth is 5.3 km below the surface, but there may well be life even 10 km deep in places on Earth that haven’t yet been drilled. “Using our computer model we discovered that the habitable zone for an Earth-like planet orbiting a sun-like star is about three times bigger if we include the top five kilometres below the planet surface. “The model shows that liquid water, and as such life, could survive 5km below the Earth’s surface even if the Earth was three times further away from the sun than it is just now. The current habitable zone for our solar system extends out as far as Mars, but this re-drawn habitable zone would see the zone extend out further than Jupiter and Saturn. The findings also suggest that many of the so-called “rogue” planets drifting around in complete darkness could actually be habitable. “Rocky planets a few times larger than the Earth could support liquid water at about 5 km below the surface even in interstellar space (i.e. very far away from a star), even if they have no atmosphere because the larger the planet, the more heat they generate internally. The significance of the subsurface is further illustrated by another paper published by the same team which suggests there could be more life below the surface of the continents on Earth thanthere is below the seafloor. McMahon hopes the studies will encourage other researchers to consider how life on other planets might be detected. “The results suggest life may occur much more commonly deep within planets and moons than on their surfaces. This means it might be worth looking for signs of life outside conventional habitable zones. I hope people will study the ways in which life below the surface might reveal itself. Because it’s not unimaginable that there might be signs at the surface that life exists deep below.